Representatives from campus police departments across the state traveled to Tallahassee Monday to oppose the campus guns bill. Universities in Texas are working on plans to adhere to new state laws that allow college students to carry guns on campuses. Georgia Gov. Nathan Deal just vetoed a bill that would have allowed students to bring guns on public university campuses. Eight states have similar laws on their books. Here in Florida earlier this year, Miami Republican state Sen. Miguel Diaz de la Portilla, chair of the Senate Judiciary Committee, decided not to hear a series of bills that would have allowed for open-carry situations, not just on campuses but in many other public places too. The senator, who is a gun owner, calls these laws irresponsible. 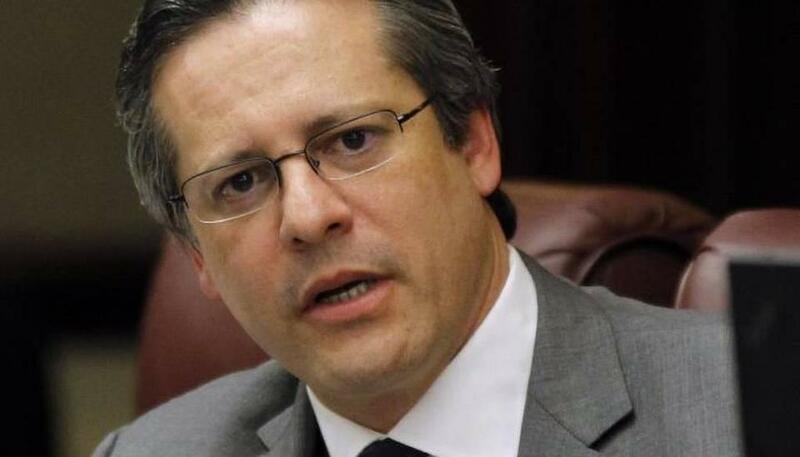 Republican state Sen. Miguel Diaz de la Portilla discusses gun laws and mental health. I think this is not a Second Amendment issue we're talking about here. I think it's a public-safety issue and a common-sense issue. There were three gun measures. The campus carry was a bill this year. There was also an open-carry bill this session that I didn't hear. And there was an airport-terminal-carry bill this session that I didn't hear and pretty simply, I don't think any of these three bills would make us any safer. I think there are a number of unintended consequences and I think there are very good reasons why the Florida Sheriffs Association, the university presidents in the state of Florida as well as a vast majority of students and the public safety departments of all these universities were opposed to it. The measure would have unintended consequences if it were to become law. Just imagine the difficulty for law enforcement in enforcing the law if you have open carry and if you combine open carry with campus carry it would be very, very difficult for law enforcement to do their job. The potential for accidental shootings, the potential for stolen guns and property, the potential of escalating arguments or what have you becoming deadly encounters. In short, I think it didn't make any common sense to have these bills become law. You yourself are a gun owner. But this stance you've taken, is it the stance of the gun lobby and other gun owners? Most responsible gun owners I know, at least in Miami-Dade County and Broward County and Palm Beach County and the urbanized counties, agreed with me. And I received a lot of support that these measures, the campus carry, which would allow a 21-year-old with a concealed-carry permit to bring his gun to school for example, or the open carry that would allow anyone with a concealed-carry permit to walk around the streets with a gun belt, and you know a couple of guns like it's the OK corral, as well as the airport-terminal carry -- everyone I spoke to, including responsible gun owners and concealed-carry permit owners, said we don't need them. We don't need these laws. They don't make any sense and they don't make us any safer. How will you measure the Texas law’s impacts? Are you going to be watching what's going to be happening at the universities because that may set the stage for other states later on? Yes, I am going to be watching what happens at the University of Texas. God forbid that a regular argument doesn't escalate into a life-and-death encounter on that campus. You know, God forbid that a tragedy doesn't occur there, but, of course, I'm going to be watching and keeping an eye on that. As you mentioned, only eight states out of 50 have a campus-carry law, which means that the vast majority of states don't think it's good public policy, just like the Florida Sheriff's Association doesn't think it's good public policy, just like the university presidents don't think it's good public policy and just like the university police departments don't think it's good public policy. Any tragedy of a mass shooting or gun violence launches into a discussion about mental health. Tell us about the mental health criminal justice bill that you'd worked on and what exactly will it do? How is it going to help? State Sen. Miguel Diaz de la Portilla refused to let campus-carry legislation get a committee hearing. Well, you know first and foremost I think most everyone who follows these violent incidents throughout the country, knows that mental health and mental illness play a large part in in this type of crime, and in actually any and all kinds of crime. So the general idea in the Florida Legislature, particularly in the Florida Senate, is that we need to do more to make sure that those with mental illness are diagnosed and receive the proper treatment. And so the mental health bill, Senate Bill 604, which I sponsored and which the governor signed into law recently, creates a legal framework to allow courts to identify those defendants who have mental-health issues and ensure that mental-health treatment is available either pre-adjudication as a diversion program or post-adjudication as well as a rehabilitation program. And the idea is to get people with mental illness who aren't violent or dangerous but who could then just simply fall into the criminal justice system and end up in a prison or in a jail, and ultimately become violent or dangerous, to get the treatment that they need so that they can become productive members of society and avoid being in a prison environment which would only make their condition worse and the potential for violence and additional criminality greater. Do you think dealing with mental health issues can help in reducing mass shootings and gun violence? Well, that's an interesting question. Clearly we don't need irresponsible gun laws like the ones that were proposed this year that I didn't hear in my committee and then I effectively stopped from moving forward and becoming law. So we don't need to do that. That will only make things worse; that won't make it better. In terms of mental health, I think we do need to, in general, do a better job with mental health. My bill sets a framework in the criminal justice system for having mental health courts to deal with people with mental illness. And also by the way, my bill, Senate Bill 604, also makes this available in dependency hearings for young people with mental illness so that they can receive treatment. And that wasn't available in the courts; they didn't have the authority to do this before Senate Bill 604. In addition to that, there's another bill that we passed this session, which I supported, that was sponsored by my friend and colleague Sen. Rene Garcia, which is a Senate Bill 12. And that bill has to do with mental-health services in a civil context, to deal with the Baker Act in particular. So to answer your question specifically, I think the first thing is don't make things worse in terms of gun violence by adopting irresponsible laws that make guns more available in certain places, and without proper time, place and manner restrictions. And also, make sure you address the issues of mental health, so you have to do both. The other thing too is law enforcement and helping train law enforcement officers in dealing with people who are dealing with mental-health issues. How do these bills tackle that side of it? The two bills don't do anything as far as how law enforcement is trained and what have you. Senate Bill 604 has to do with mental health services in the criminal justice system, meaning in the courts setting, and Senate Bill 12, which is Rene Garcia's bill, has to do with those mental-health services when it comes to substance abuse and mental health in a civil context, not a criminal-court context. But one of the things that I’m working on actually for next year's legislative session is to make sure that we have the right training for police officers in dealing with people with mental-health issues. I think the training is woefully inadequate. I think that we could do and should do a lot more to train law enforcement personnel particularly frontline personnel, those who are actually out there on the streets keeping us safe. And have better training and better tactics available to deal with people with mental health, and in dealing in general with de-escalation, tactics and techniques. And so I’m working on a bill along with my staff at the Judiciary Committee to develop training protocols and provide funding for additional training protocols so that law enforcement officers receive the absolute best training they can and dealing with people with mental health issues. Really, what more can lawmakers do about the stigma with mental health issues? One of the things we're looking at is making sure that there is mental-health parity, if you will, in the sense of mental health is no different than any other ailment that any individual can have. Mental-health issues are no different than any other ailment, if you have kidney problems or if you have a liver problem or if you have whatever else it may be, mental illness is no different. And so the concept of mental-health parity is that all illnesses including mental illnesses are treated the same from an insurance coverage standpoint, and that’s an issue that's a complicated issue. There are a number of overlapping regulatory schemes that we need to look at and such. But I am exploring and working on that as well because I really believe, and I think others in the Florida Senate agree, that if we were to identify mental-health issues as early as possible -- and by the way this also includes additional funding in schools at the K-12 level to deal with issues -- if you identify mental health issues as early as possible and provide the proper treatment to people with mental health issues or illnesses early on you can avoid a lot of costs and tragedy on the back end. Florida's really one of the worst when it comes to spending on mental health. In recent national rankings, the Sunshine State was 49th, and a lot of that money's been cut over the last four or five years. Is it more spending, is it something else? Well, Miami Dade County has actually been sort of on the cutting edge of looking into how to deal with mental-health issues. Over the past year there have been many task forces and study groups and so forth that have identified a lot of the things that you need in a continuum of care to make sure that people receive the services when they need them and throughout. Because one of the things is that many times, more often than not, with mental-health issues it's an ongoing treatment that you need and course of treatment. It's not like you take two aspirin on it and the issue’s dealt with. It requires a continuum of care. I think that there is a lot more awareness. The awareness comes mostly from South Florida, and we're taking that message to Tallahassee. There are going to be some changes to the Senate and to the House next year and also a new Senate president. How does that change the dynamics? Do you have concerns that with those changes maybe some of those things might actually start to move forward -- that you had halted? Well, the dynamic isn't going to change too much in the Florida House. And by the way, both the open-carry bill and the campus-carry bill passed out of the Florida House, meaning they cleared all committees and were passed by the full membership and voted on. So those bills just flew and sailed through the Florida House of Representatives. The backstop has been the Florida Senate. And it's been the backstop the last two sessions because I’ve chaired the judiciary committee. And I stopped both those bills as well as the terminal-carry bill that I mentioned earlier. I don't think that the Senate is going to change that much next year. I think you're still going to have, the Senate is still going to be the more deliberative body out of the two chambers in Tallahassee. I think under [Senate] President Joe Negron, who's coming in next year, you're going to have a very similar dynamic that you had under President Andy Gardiner, who's been the president the last two years. So I think the Florida Senate will still be the commonsense body, the deliberative body. 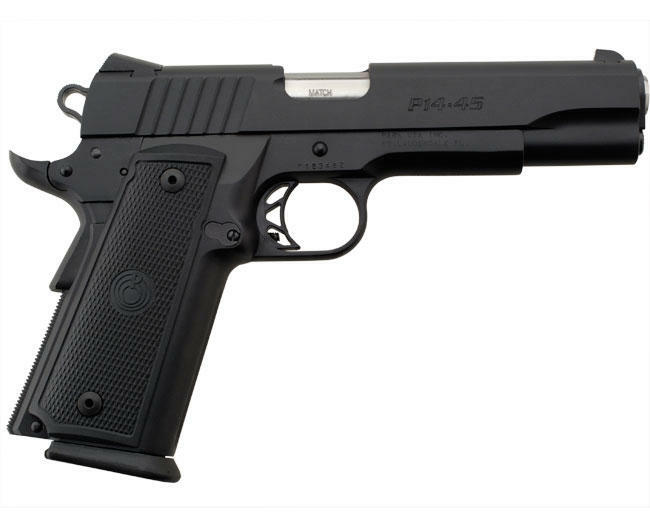 A proposal that would allow concealed-weapon permit holders to bring handguns onto college and university campuses continued moving forward Wednesday in the state House, despite opposition from academic leaders. The League of Women Voters of Florida will start building a coalition Thursday to fight newly filed bills that would allow people to carry concealed weapons on college and university campuses. But Rep. Greg Steube, a Sarasota Republican who is sponsoring the House version of the bill, remains undeterred. The proposal, which would apply to people who have concealed-weapons licenses, failed to pass the Legislature during the 2015 session. The Florida Roundup looks at the death penalty, heavy rains, fracking and more this week. The Florida Supreme Court stopped one execution as questions continue around the process of how Florida decides the death penalty. Dozens of inmates on death row could challenge their sentences. South Florida is being drenched by historic rains in the midst of what is supposed to be the dry season. Lake Okeechobee is swollen, sending dirty water into rivers and raising worries about pollution.